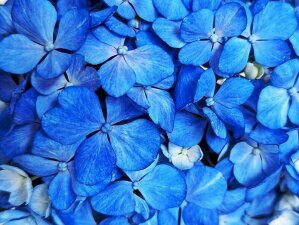 This image has been modified. Click for full-size image. Click here for RAW image. It feels like we've seen a whirlwind of mirrorless cameras as of late, especially fairly pricy full-frame mirrorless models, but we shouldn't forget the humble entry-level DSLR. Despite the growing popularity of mirrorless, the entry-level DSLR is a very important, very popular type of camera for many people. Featuring a compact design, easy-to-use interface and controls, and a low price point, the entry-level DSLR can be many things, including a casual "upgrade" camera to a smartphone or versatile learning tool for the burgeoning, beginner photographer, for example. One manufacturer who's been very consistent in producing excellent entry-level DSLRs is Nikon. Their D3XXX-series of beginner DSLRs have a history of offering surprisingly excellent image quality, comfortable ergonomics, and a very wallet-friendly price point. The latest iteration, the Nikon D3500, continues that tradition with aplomb. Featuring a slight redesign to its body, the D3500 is, however, not significantly different from its predecessor when you look under the hood. It uses a similar 24MP APS-C sensor, the same image processor, and the same aging 11-point AF system. On the other hand, what's downright shocking and frankly amazing, is its price. The list price of a D3500 kit with an 18-55mm lens is just $499, but at the time of publishing, the camera is further discounted at major retailers for a staggeringly low price of $396.95. That is just an insane value for a brand-new 24MP APS-C DSLR! So, while it doesn't have all the bells and whistles of higher-end siblings, nor is it drastically different from the previous model, the Nikon D3500 is a fantastic value for those looking to take their first step into the world of photography. On the back of the D3500, the buttons have all been moved to the right of the rear display. This makes them easier to reach while shooting and allows for easier one-handed operation. As mentioned, there hasn't been significant changes to the D3500's overall design compared to the previous D3400 model. The camera body itself remains very compact, very lightweight and yet still surprisingly comfortable to hold and operate. Nikon has tweaked the design of the body somewhat, slimming-down the thickness and re-contouring the grip to be deeper and yet still comfortable despite the overall compact size. 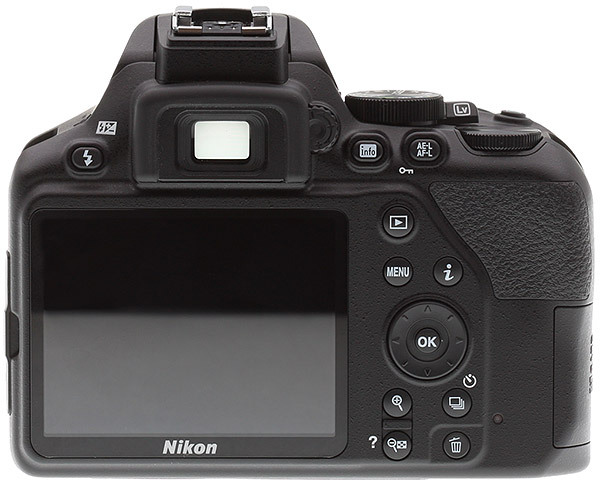 Nikon has also rearranged the control layout compared to the predecessor, such as moving some of the rear buttons from the left of the LCD over to the right so that the majority of your controls are all accessible via your thumb. The overall operability is still quite similar, and the camera remains very easy to use. There's still a single command dial along the top of the thumb rest area and a multi-directional pad on the back. For those just getting started with a DSLR, the D3500 features a helpful "Guide Mode" that will walk you through what settings and what controls to use to help you capture a particular type of photograph. Unlike a vast number of cameras these days, the Nikon D3500, like most basic, entry-level cameras, uses a smaller, fixed rear LCD rather than an articulated or tilting display. An articulated display is great for shooting at awkward angles, tilting to avoid glare and for shooting videos, so keep that in mind if those are important factors in how you like to shoot. It's also not a touchscreen, which is a bit of a bummer (but again, think of the camera's price point). At 921K dots, the D3500's screen resolution isn't the sharpest compared to higher end camera, but it gets the job done. Similarly, the optical viewfinder is fairly small with only 0.57x magnification and offering just 95% frame coverage (in other words, it doesn't show you the entire image). The major story with the D3500 is its image quality. Despite their class, Nikon's recent entry-level DSLRs, especially those with 24MP sensors, have offered excellent image quality, often performing as well or better than some higher-end cameras out there. They really punch above their weight, and the latest D3500 is no exception to this tradition. In fact, as we said in our Print Quality analysis, for the price, the D3500's image quality really is in a class of its own. Although Nikon states that the 24MP APS-C sensor is "updated" compared to the one from the D3400, we're not exactly sure what changes were made. But nonetheless, the D3500 is capable of producing excellent images, that are sharp and rich in detail, especially at lower ISOs (thanks in part to the lack of an optical low-pass filter on the sensor). And at higher ISOs, the performance is also very impressive for an APS-C camera. Noise is well controlled, and the noise reduction processing does a nice job at preserving detail while removing noise. Image quality overall isn't drastically different from its predecessor, and that's not a bad thing -- if it ain't broken, don't fix it. The camera uses the same EXPEED 4 image processor as the D3400, and we saw quite pleasing JPEG image processing for straight-out-of-camera images. We did, however, observe that dynamic range isn't as good as the predecessor for whatever reason, however, it's still quite good overall -- as is typical of modern Nikon cameras. Being an entry-level camera, one shouldn't expect top-shelf performance, and that is indeed the case here with the D3500, although the camera is far from what we would consider sluggish by any means. You need to keep in mind its entry-level category. In general, the D3500 feels nimble and responsive to use, with a quick startup time and fast single-shot AF performance. Cycle times are quite fast, as well, and the camera has a pretty decent burst rate performance for an entry-level camera at around 5fps. Buffer depth, especially for JPEGs is very deep, so while the camera doesn't have an enthusiast-grad burst rate, it can capture a lot of frames before having to slow down. The camera also has outstanding battery life, with a CIPA rating of over 1500 shots per charge. Click for full-size image. Click here for RAW image. The AF system in the camera is perhaps the primary drawback of this camera. This 11-point AF system has been around for a few generations of D3XXX-series cameras now, and it's starting to show its age. While single-shot AF is great, the D3500 can struggle with continuous AF tracking as well as in low-light situations. Furthermore, the AF point coverage is very limited, with the small amount of AF points clustered in the central region of the frame, making it more difficult to quickly focus on elements that are out towards the edge of the frame. Additionally, Live View AF is another weak point of the camera. Like most of Nikon's DSLRs, the D3500 can autofocus while shooting in Live View mode, but it uses a contrast-detect AF system. This results in slower AF speeds that are also more prone to hunting and wobbling, which isn't all that pleasant for video recording in particular. In the end, despite some shortcomings with AF performance, the Nikon D3500 is an extremely enticing camera for beginner photographers. It has a compact design, comfortable ergonomics, fast single-shot AF and best of all, the camera's image quality is fantastic, not only for an entry-level camera but for APS-C cameras in general. The fact that you can get this kind of image quality out of a camera for under $500, with a lens included, is just shocking. Feature-wise, sure, the Nikon D3500 is fairly lacking compared to higher-end cameras. Video recording is available, and the quality is pretty good, but it's only Full HD up to 60fps, and the Live View AF performance is underwhelming. There's also no headphone jack, no mic jack or any other accessory ports at all. The camera also lacks a touchscreen, and while there is wireless connectivity, it's only a Bluetooth connection -- no Wi-Fi -- so remote functionality is limited. But, remember, this is an entry-level camera, so we shouldn't expect a smorgasbord of features. If you're a beginner looking to expand his or her photography knowledge and skills beyond a smartphone or point-and-shoot, or you simply want an easy-to-use camera that offers significantly better image quality and more versatility than a smartphone, the Nikon D3500 is a prime choice. And the fact that this camera sells for under $500 is just icing on the cake. Given its image quality performance, compact design, ease of use, and amazingly low price, it's no wonder that the Nikon D3500 got our pick for Best Entry-Level Camera of 2018 in our annual Camera of the Year awards, and it surely gets added to our list of Dave's Picks!